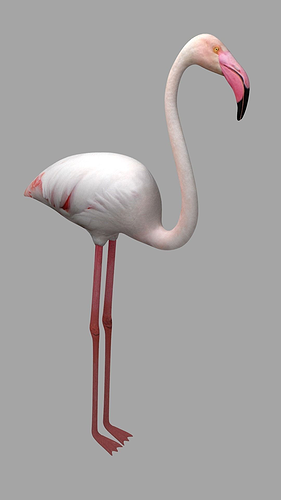 Rigged flamingo model created in Blender 2.74 with photography references. This model is good for game because very low-poly! This model is available with color textures in the files. The textures is 2048*2048 px. The model is rigged with several bones: head, mouth, body, legs, feet. All files have been tested.